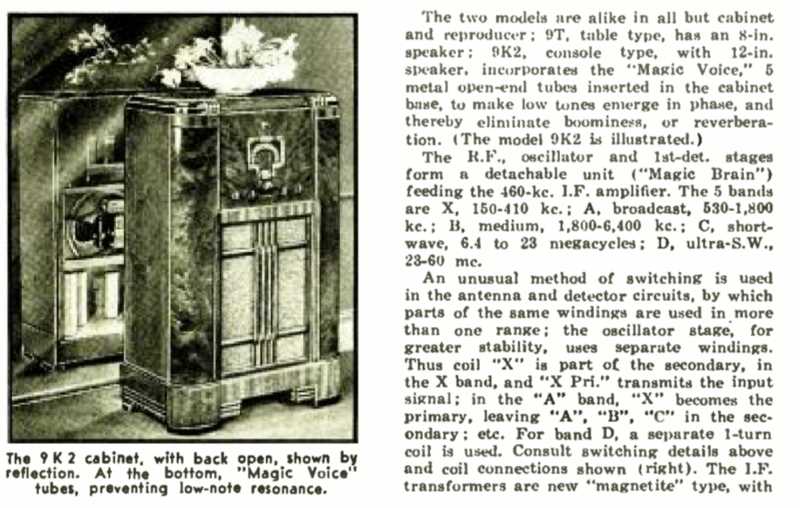 In addition, AM radios (like the 1924 Atwater Kent here) didn’t sound all that great. The narrow bandwidth wasn’t very good for music reproduction. The amplitude modulation was susceptible to noise and fading. Adjacent channels had a tendency to interfere with each other. When radio appeared, it was so close to a miracle to hear anything at all that none of this seemed very important, but as it became an integral part of society, these things were all negatives. In 1932, the FCC created three experimental frequencies at 1530, 1550, and 1570 kHz allowing a wider signal than on conventional frequencies. However, only four stations operated on these channels. Meanwhile, engineers were finding ways to get higher and higher frequencies. They found that above 20 MHz, propagation was usually very limited — practically line of sight in most cases. While you would think that distance is what you want in a communication system, from the FCC’s point of view being able to limit a broadcaster to the immediate area was quite attractive. The FCC started encouraging broadcasters to experiment with “ultra high frequencies” above 20 MHz and in 1934, W8XH (a broadcaster; not a ham station) started regular broadcasts in Buffalo, New York. Part of WBEN, a traditional AM station, anyone who wanted to listen had to build their own equipment and most programming was just a rebroadcast of the companion AM station. However, in 1936 W9XAZ in Milwaukee did produce regular original programming. The receiver problem was particularly an issue since most receivers topped out at 20 MHz. You could build a converter, but you lost some of the advantages that way. 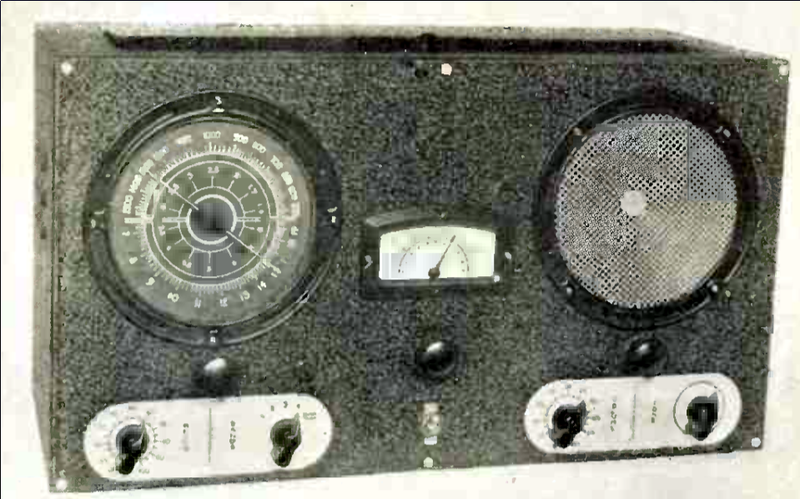 It would be 1937 before you could buy radios like the Raco R-S-R Clipper (left), the RCA Magic Brain (see below for an example advertisement), or a McMurdo Silver (see the video, below) that could tune into the “ultra shortwave” bands. Their performance at these frequencies often left something to be desired. As any ham will tell you, while propagation above 20 MHz is generally line of sight, it isn’t always. The FCC noted that W6XKG in Los Angles had been heard in Asia and Europe. W9XAZ would sometimes be audible in Australia along with other stations from the United States. In 1937, the FCC decided to make official the high-frequency broadcast band by putting 75 channels at 41.02 MHz with 40 kHz spacing between channels. This was four times the width of an AM channel, so there was less interference and it could accommodate a better-sounding — but still AM — signal. There were about 50 stations using high frequencies that had to move to the new band. In other words, Apex was AM radio on higher frequencies with a regimented band plan. Not a bad idea at all. But the new band only lasted about four years. Edwin Armstrong was pushing for FM radio service, and the FCC was amazed at the audio quality possible with that system. By 1939, the commission encouraged Apex broadcasters to move to FM. In 1940, they reallocated the band to support 40 FM channels ranging from 42 to 50 MHz. RCA would later lobby to move the band again although there is a debate if it was for technical reasons or just to spite Armstrong by making his equipment obsolete. The last two Apex stations were Cleveland’s WBOE that converted to FM in February 1941. Ironically, in 1938, it had become the first station to broadcast in the Apex channels reserved for non-commercial educational stations and Kentucky’s WBKY which closed down in June of that year. Why the name? The line of sight broadcasting required the antenna to be up at an apex or skyscraper. Next time you see an old radio with the “Apex” band on it, you’ll know why. ← Are Patent Claims Coming for Your WS2812? Ahhh… the old, huge 9K2 cabinets are beautiful. Back then a radio was a piece of furniture and was pretty to look at. Now don’t get me wrong, I like the idea of smaller electronics, I simply don’t have the room for such a large radio. But those cases sure looked pretty. I work on the CECOM campus of Aberdeen Proving Grounds. 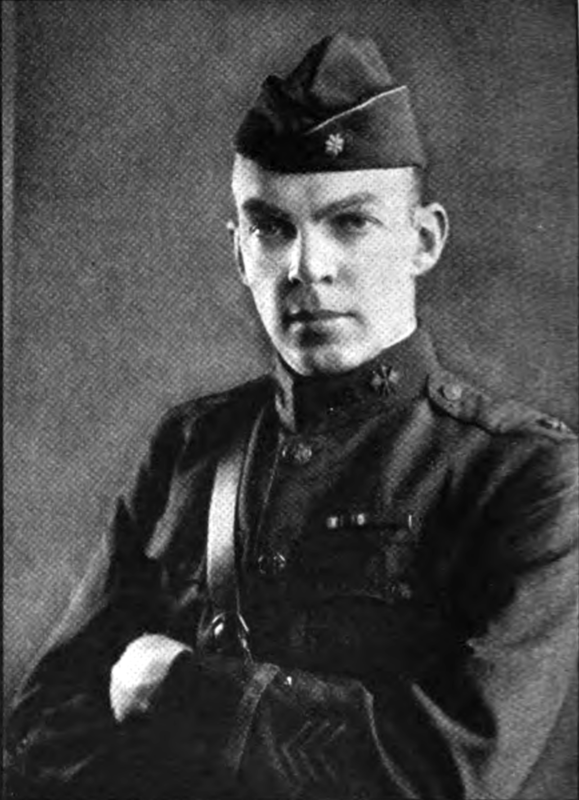 Building 6002 in named in honor of Edwin Armstrong. If you ever find yourself in Bellingham, WA, be sure to go visit the Spark Museum in downtown – I think they actually have a couple of Apex receivers (I have not visited it for a few years, so I could be wrong).